Gerald Libling was born on 30 December 1930, the son of William David Libling, a long-time resident of Winnipeg associated with the garment industry. The younger Libling graduated from the University of Manitoba with a Bachelor of Architecture in 1952. Libling’s first architectural employment was in 1952 for A.E. Cubbridge; Cubbridge died the following year, casting his employees out for further work. Libling was fortunate in being hired, in Ottawa, under S.A. Gitterman with the Central Mortgage and Housing Corporation (CMHC) from 1953 to March 1954. Responding to the growing demand for post-war housing, this government agency was a hothouse of talent, with designers and administrators working to relieve the baby-boom housing crisis. When applying for registration with the Manitoba Association of Architects (MAA) in 1954, Libling wrote that he wanted “to engage in house designing,” a mission that he was to realize in a variety of forms over his career. Following this stint at CMHC, in 1954 Libling worked for four with the firm of Greenspoon, Freelander and Dunne in Montreal. Libling then returned to Winnipeg and spent a brief time working in the offices of Moody and Moore, before setting out on his own in June 1954. His first office was at 149 Portage Avenue East. In mid-1955, Libling entered a partnership with fellow University of Manitoba classmate Mel Michener – one that was to last for nearly 20 years. In 1957, the partnership expanded, briefly to becoming Libling, Michener, Diamond and Associates, along with Alvin Leader. In 1958, two of the firm’s schools, Tache and Warren grade schools in Winnipeg, as well as the St. John Brebeuf school-gym that was designed to serve temporarily as a church, won honourable mentions for the Massey Awards in architecture. Along with a variety of other projects, Gerald Libling and Mel Michener paid special attention to Libling’s mission for well-designed housing. Their Executive House Apartments at Wellington Crescent and Grosvenor Avenue, with its attractive lines and graceful arrangement on a cramped site, won a Massey silver medal in 1961. It was called an “elegant contribution to downtown living,” featuring excellent proportions and restrained use of materials. The following year Libling Michener won regional awards from the Canadian Housing Design Council for two Winnipeg homes. Also in 1962, Metropolitan Construction had Libling Michener design a new line of homes for their housing development at Heritage Park in Transcona. Over 200 homes were offered under a federal government subsidy, in varied street patterns around parks and facilities for which its developer won the Metropolitan Canadian Builder award in 1964, and gave Libling a first-hand look at the business of a successful developer. Libling’s firm won the Canadian Housing Design Awards again in 1964 and in 1967 for its Village West Housing in Westwood. Their Southwood Village townhouses in Fort Garry were an attractive and interesting development that won the top national award from the Canadian Housing Design Council in 1969. During the next decade, Libling Michener moved into high-rise apartment development, and Gerald Libling himself left the firm as of the first of January 1973 to join development firms, Galcon Development Construction Limited and the Imperial Group. Libling maintained his license to practice, while his new firms undertook such local projects as the Imperial Tower on Broadway in 1976. Libling also saw-through his former practice’s massive project at Lakeview Square in the early 1970s, which included more high-rise apartment housing. Libling was elected president of the Manitoba Association of Architects at the age of 38. Clearly articulate in expressing his ideas, Libling used his status to make public the city’s lack of a proper plan for its urban core. In his view, the Metro government was neglectful of the core’s future in its rush to develop the suburbs. A large part of his solution was an infusion of high-rise and low-rise housing in the downtown neighborhoods, coupled with more public commitment to parks and schools in the core. 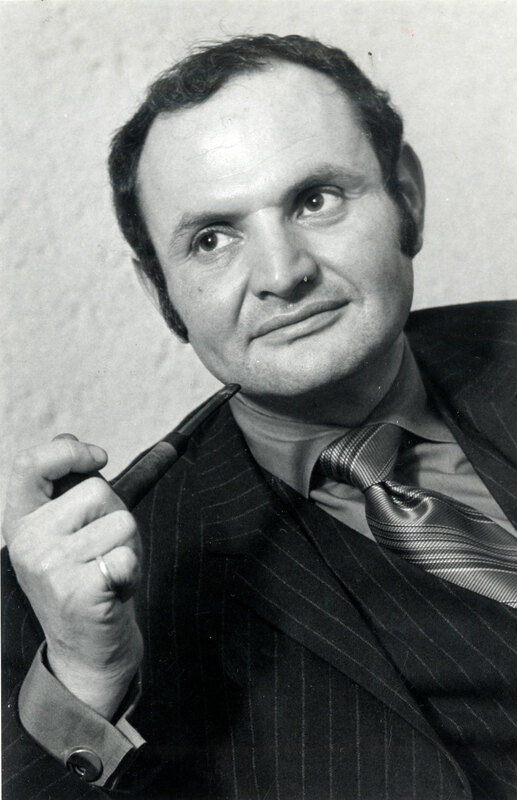 Notably, Libling was the first Jewish man admitted as a member of the exclusive Manitoba Club in 1972. Libling kept a hand in the business scene in Winnipeg until 1993 when he retired. Libling does not maintain active contact with LM Architectural Group, the evolution of his original partnership. “Canadian Builder of the Year - 1964.” Canadian Builder 34 (January 1964): 27. “Centennial Awards for Residential Design.” Canadian Builder 37 (May 1967): 45. “Coordinated planning held key for future.” Winnipeg Tribune. 27 February 1970. “Educational” and “Ecclesiastical.” The Journal (Royal Architecture Institute of Canada Journal) 35 (December 1958): 455-458 and 472-473. “Executive House Apartments.” The Journal (Royal Architecture Institute of Canada Journal) 38 (November 1961): 56. “Executive House Apartments.” Canadian Builder 34 (January 1964): 27. “New Head office for Imperial Group.” Western Construction and Industry (September 1976): 38-41. “Two Winnipeg architects win home design awards.” Winnipeg Tribune, 30 November 1962. “Untitled.” Winnipeg Jewish Post. 24 March 1955. 4. “Untitled.” Winnipeg Jewish Post. 23 March 1957. “Untitled.” Winnipeg Jewish Post. 1 December 1960. 4. “Winnipeg Architects Honoured.” Winnipeg Free Press. 24 November 1969. Libling, Gerald. Letter to the Manitoba Association of Architects. 25 September 1954. Newman, Peter C. The Canadian Establishment. Vol. 1. Toronto: McClelland and Stewart, 1979. 458-59.